Jason was diagnosed at the age of 13, with an inoperable, benign brain stem tumor in July of 1994. He had severe hydrocephalus and had a shunt put in the ventricle to drain the fluid off of the brain. After seeking advice from numerous doctors around the country, we were satisfied with the prognosis that these types of tumors never change. He can live 80 years with this and it will not be any problem. Jason went on with his life attending high school, playing sports, active in church and community and attending college and never had any problems. We followed with yearly MRI’s to monitor the tumor. In July 2001 after a routine MRI, the doctors gave us devastating news. The tumor had transformed into a highly malignant, rapid growing tumor. Since we would not allow a biopsy, because it would cause some brain damage, the tumor was classified as a brain stem glioma. His local neurosurgeon gave him 2-12 months to live. After much prayer and research, we opted to try the Burzynski Clinic, in Houston. 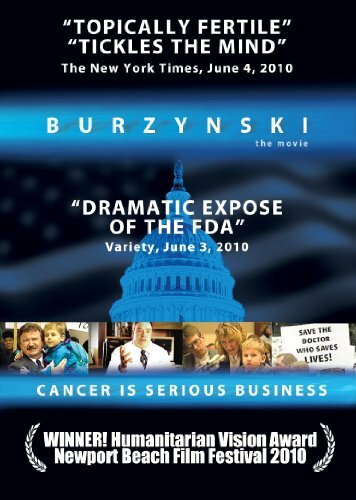 Dr. Burzynski at least offered hope. The antineoplastin treatment is non-toxic, so there are no permanent side effects. We called the clinic, sent Jason’s MRI’s, and waited to see if they could take Jason. He was accepted immediately for an FDA Phase II Clinical Trial. In August 2001, Jason went to Houston. After the initial physical and evaluation, Jason was ready to start treatment. We all learned how to administer the antineoplastins, which are delivered in IV form through a port in the chest. For four months the tumor continued to grow. We spent a lot of time in prayer. There were people all around the country praying for Jason and our family. Jason was beginning to have some neurological problems because of the size of the tumor. He couldn’t hear very well, his eyes were only partly open and he had a very difficult time staying awake. The FDA wanted to pull Jason out of the trial, but the doctors at the Burzynski Clinic convinced them to give Jason a little more time. Finally in December 2001, the tumor quit growing. For three months there was no change. In February the tumor started to respond. It was 20% smaller. Jason’s hearing came back, his eyes opened and he was able to stay awake all day. The tumor continued to shrink. Not rapidly, but nonetheless it was getting smaller. The side effects of the antineoplastins are minimal. Watching sodium intake, drinking lots of water and taking supplements to keep the electrolytes in balance became part of the daily routine. Once the tumor began to shrink, Jason was able to resume a fairly normal life style. In July 2002, Jason, his dad and I were sent to South Africa for a hunting safari. Jason was able to go hunting, and shot a warthog, an impala, a kudu and a zebra. He also darted a white rhino and implanted microchips in its horns to guard against poachers. All of this was done while he was on the antineoplastins. We transported the medicine to Africa with us and continued on with the daily routine. This was a dream come true. God brought some very gracious and generous people into our lives because of this tragedy. The MRI in August showed 40% reduction. Praise God! On December 4, 2002 the MRI showed no tumor. Jason had a PET Scan in January which showed no active cancer cells. Jason continued on the infusion treatment and the next three MRI’s showed no cancer. On April 21, 2003 we returned to the Burzynski Clinic. Jason is in remission. He went from the infusion therapy to the capsule form. He will continue with the capsules for at least 8 months. God is so good. HE is our strength for each day. It was only by God’s grace that we found Dr. Burzynski. Communities of people, churches, schools, family and friends have lifted us up in their prayers. We are very grateful for Dr. Burzynski and his staff. This treatment has given Jason back his life. recently sent us this update and I wanted to share it with you. Thank you, Patty. These stories are such an encouragement to us. not have the support of any of our doctors. 4 weeks there, going through the routine of learning the ropes. Jason learned right along with us. Jason was on infusion for 20 months and capsules for 8 months. sugars, white flour, rice, simple carbs, dairy etc. speak and share his story. God has been very gracious to us. I hope our experience will be beneficial to someone.